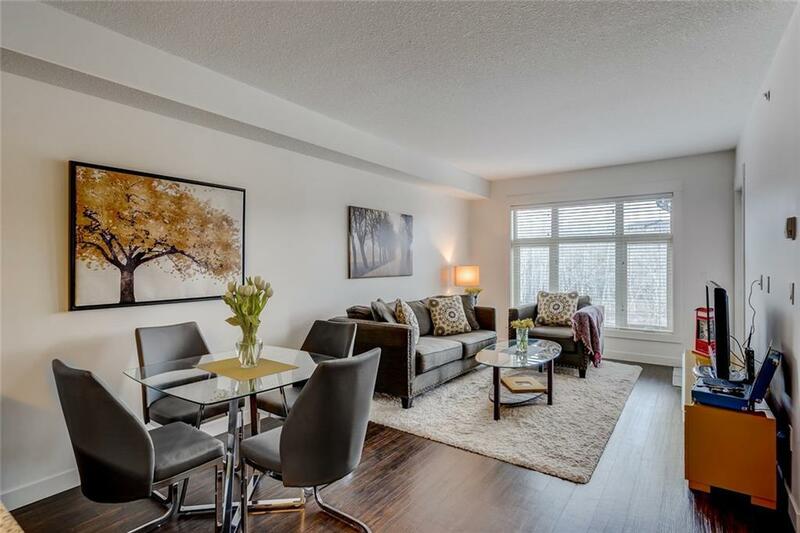 TOP FLOOR, SUNNY WEST FACING UNIT OVERLOOKING FORESTED GREEN SPACE. A unit in this location rarely comes available. 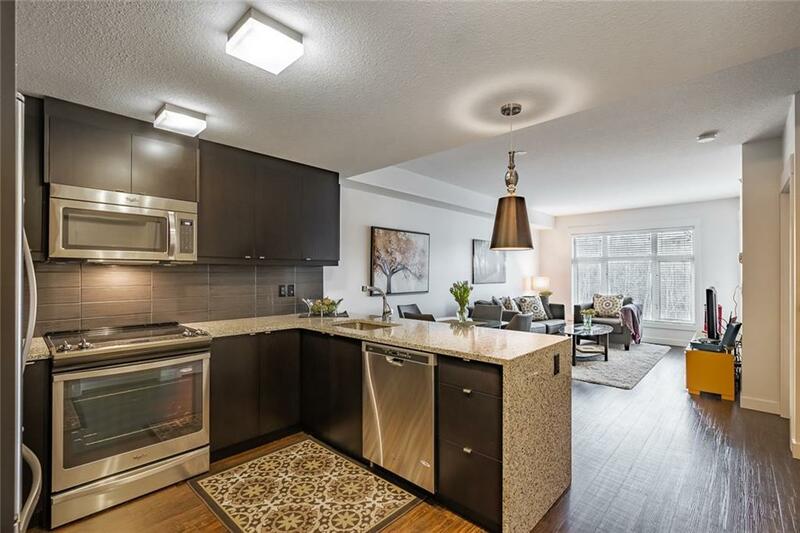 This meticulously maintained 1 bedroom condo features numerous builder upgrades throughout. Modern wide plank flooring greets you as you enter this bright and open concept home. 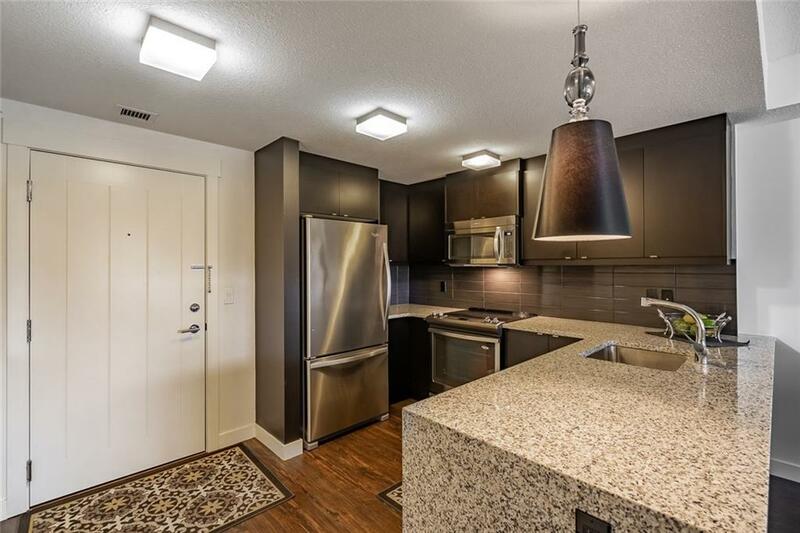 The kitchen features plenty of cabinetry, a stainless steel appliances package, and is fitted with a thick waterfall granite counter top. There is plenty of room for a dining table, and the living room has large windows showcasing the beautiful views with access to your private balcony. The master bedroom once again picture frames the incredible views and is a tranquil experience to wake up to every morning. Double walkthrough closets lead you the main bath with an upgraded fully tilled walk in shower. 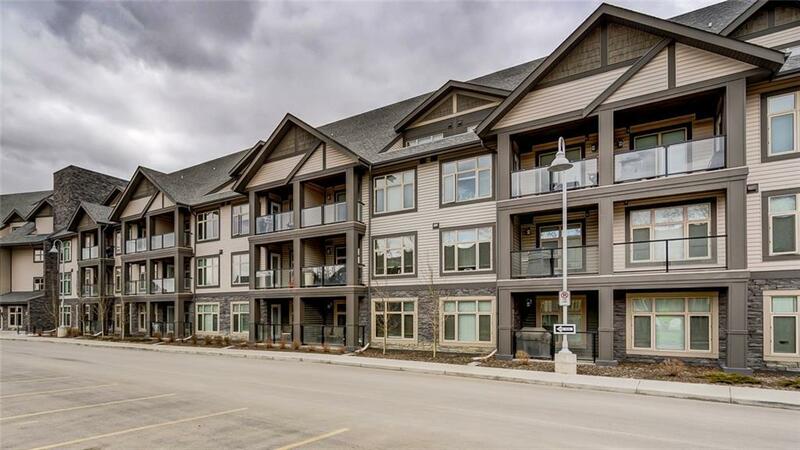 Insuite laundry, underground parking, storage locker, well maintained building w. guest suites and a gym. Plusyou ware walking distance to the organic market, cafs, and numerous stores and restaurants. Call today!